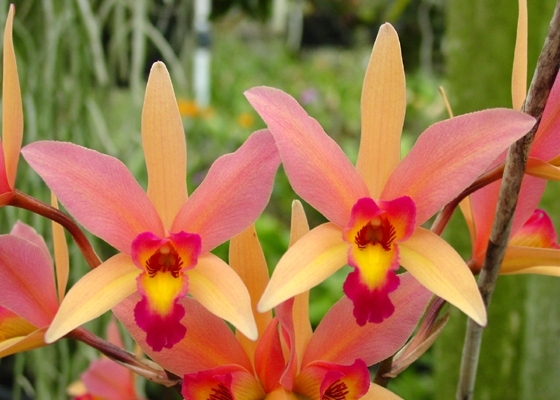 No plant draws more attention when in bloom than this one: it is an all time favorite and star of the springtime Santa Barbara Orchid Show! 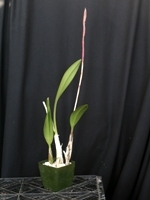 It is unfortunate that excessive cloning in the industry has taken this phenomenal variety and produced many poorly blooming, inferior quality plants. The plants offered here are not clones, but actual divisions from our original awarded plant! 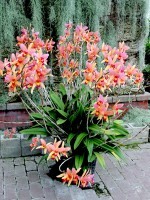 Grows great potted or mounted, outside with the Cymbidiums, or under intermediate conditions. .Temperature Tolerant. January - February blooming.